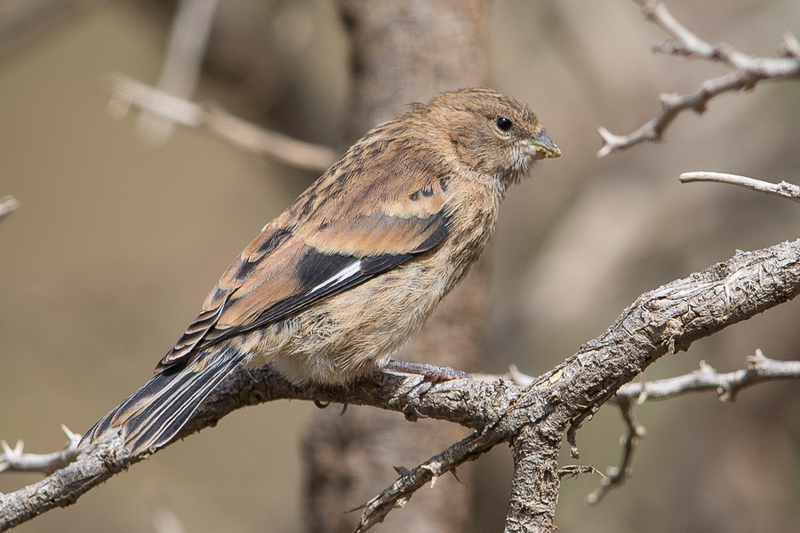 Yemen Linnet Carduelis yemenensis is a common resident of the south-west highlands, frequenting weedy terraced fields, that have been harvested, where it was often seen in flocks of up to 200 birds. It has also been recorded on the Raydah escarpment along the Raydah Pipeline Road, Al Jarrah and Al Azah. In 1987 it was also common and widespread so there appears to have been no change in its status during this period. Habitat preference is for subtropical to tropical dry shrubland. Flocks have been seen in the Baha area in the Golden Tulip valley where they frequent cultivated areas and allotments and further north towards Taif. 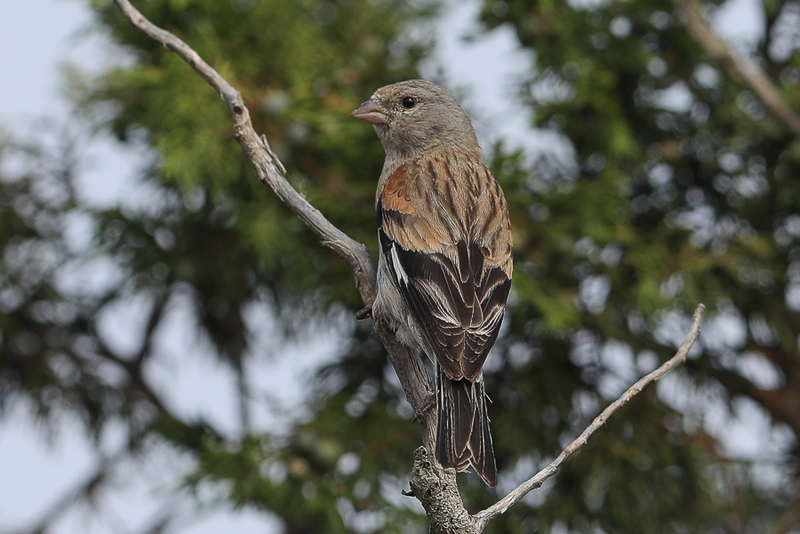 Birds are almost always seen in small groups and rarely singly even in the breeding season.